The Act increases the ability of law enforcement agencies to search telephone, e-mail communications, medical, financial, and other records; eases restrictions on foreign intelligence gathering within the United States; expands the Secretary of the Treasury’s authority to regulate financial transactions, particularly those involving foreign individuals and entities; and enhances the discretion of law enforcement and immigration authorities in detaining and deporting immigrants suspected of terrorism-related acts. The act also expands the definition of terrorism to include domestic terrorism, thus enlarging the number of activities to which the USA PATRIOT Act’s expanded law enforcement powers can be applied. 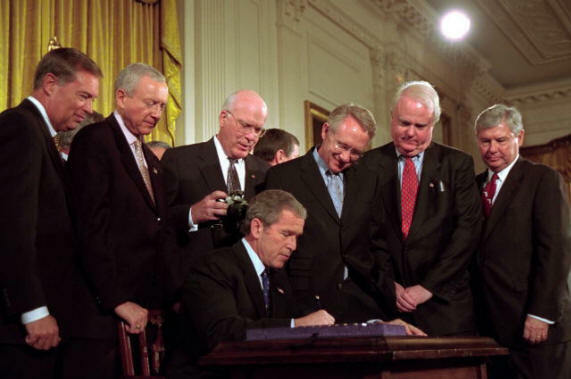 President George W. Bush signs the Patriot Act, Anti-Terrorism Legislation, in the East Room Oct. 26, 2001. "With my signature, this law will give intelligence and law enforcement officials important new tools to fight a present danger," said the President in his remarks. The Act was passed by wide margins in both houses of Congress and was supported by members of both the Republican and Democratic parties. It has been criticized for weakening protections of civil liberties, as well as being overbroad in regard to its circumstances of application. In particular, opponents of the law have criticized its authorization of indefinite detentions of immigrants; searches through which law enforcement officers search a home or business without the owner’s or the occupant’s permission or knowledge; the expanded use of National Security Letters, which allows the FBI to search telephone, e-mail, and financial records without a court order; and the expanded access of law enforcement agencies to business records, including library and financial records. Since its passage, several legal challenges have been brought against the act, and Federal courts have ruled that a number of provisions are unconstitutional. Many of the act's provisions were to sunset beginning December 31, 2005, approximately 4 years after its passage. In the months preceding the sunset date, supporters of the act pushed to make its sunsetting provisions permanent, while critics sought to revise various sections to enhance civil liberty protections. In July 2005, the U.S. Senate passed a reauthorization bill with substantial changes to several sections of the act, while the House reauthorization bill kept most of the act's original language. The two bills were then reconciled in a conference committee that was criticized by Senators from both the Republican and Democratic parties for ignoring civil liberty concerns. The bill, which removed most of the changes from the Senate version, passed Congress on March 2, 2006 and was signed into law by President George W. Bush on March 9 and 10th, 2006. Please allow for several seconds to open. It's a very long web page. Another group, the Humanitarian Law Project, also objected to the provision prohibiting "expert advise and assistance" to terrorists and filed a suit against the U.S. government to have it declared unconstitutional. They succeeded, and a Federal Court found that the law was vague enough to cause a reasonable person to guess whether they were breaking the law or not. Thus they found it violated the First Amendment rights of U.S. citizens, and struck it down. Perhaps one of the biggest controversies involved the use of NSLs by the FBI. Because they allow the FBI to search telephone, email, and financial records without a court order they were criticized by many parties. In November 2005, BusinessWeek reported that the FBI had issued tens of thousands of NSLs and had obtained one million financial, credit, employment, and in some cases, health records from the customers of targeted Las Vegas businesses. Selected businesses included casinos, storage warehouses and car rental agencies. An anonymous Justice official claimed that such requests were permitted under section 505 of the USA PATRIOT Act and despite the volume of requests insisted "We are not inclined to ask courts to endorse fishing expeditions". Before this was revealed, however, the ACLU challenged the constitutionality of NSLs in court. In April 2004, they filed suit against the government on behalf of an unknown Internet Service Provider who had been issued an NSL, for reasons unknown. In ACLU v. DoJ, the ACLU argued that the NSL violated the First and Fourth Amendments of the U.S. Constitution because the USA PATRIOT Act failed to spell out any legal process whereby a telephone or Internet company could try to oppose an NSL subpoena in court. The court agreed, and found that because the recipient of the subpoena could not challenge it in court it was unconstitutional. Congress later tried to remedy this in a reauthorization Act, but because they did not remove the non-disclosure provision a Federal court again found NSLs to be unconstitutional because they prevented courts from engaging in meaningful judicial review. Another provision of the USA PATRIOT Act brought a great deal of consternation amongst librarians. Section 215 allows the FBI to apply for an order to produce materials that assist in an investigation undertaken to protect against international terrorism or clandestine intelligence activities. Amongst the "tangible things" that could be targeted, it includes "books, records, papers, documents, and other items". Supporters of the provision point out that these records are held by third-parties, and therefore are exempt from a citizen's reasonable expectations of privacy and also maintain that the FBI has not abused the provision. As proof, then Attorney General John Ashcroft released information in 2003 that showed that section 215 orders had never been used. However, despite protestations to the contrary, the American Library Association strongly objected to the provision, believing that library records are fundamentally different to ordinary business records, and that the provision would have a chilling effect on free speech. The association became so concerned that they formed a resolution condemning the USA PATRIOT Act, and which urged members to defend free speech and protect patrons' privacy. They urged librarians to seek legal advice before complying with a search order and advised their members to only keeping records for as long as was legally needed. Consequently, reports started filtering in that librarians were shredding records to avoid having to comply with such orders. Another controversial aspect of the USA PATRIOT Act is the immigration provisions that allow for the indefinite detention of any alien whom the Attorney General believes may cause a terrorist act. Before the USA PATRIOT Act was passed, Anita Ramasastry, an associate professor of law and a director of the Shidler Center for Law, Commerce, & Technology at the University of Washington School of Law in Seattle, Washington, accused the Act of depriving basic rights for immigrants to America, including legal permanent residents. She warned that "Indefinite detention upon secret evidence — which the USA PATRIOT Act allows — sounds more like Taliban justice than ours. Our claim that we are attempting to build an international coalition against terrorism will be severely undermined if we pass legislation allowing even citizens of our allies to be incarcerated without basic U.S. guarantees of fairness and justice. "Many other parties have also been strongly critical of the provision. Russell Feingold, in a Senate floor statement, claimed that the provision "falls short of meeting even basic constitutional standards of due process and fairness [as it] continues to allow the Attorney General to detain persons based on mere suspicion". The University of California passed a resolution condemning (amongst other things) the indefinite detention provisions of the Act, while the ACLU has accused the Act of giving the Attorney General "unprecedented new power to determine the fate of immigrants... Worse, if the foreigner does not have a country that will accept them, they can be detained indefinitely without trial." Another controversial aspect of the USA PATRIOT Act is its effect on the privacy of British Columbian citizens. British Columbia’s privacy commissioner raises concerns that the USA PATRIOT Act will allow the United States government to access Canadians' private information, such as personal medical records, that are outsourced to American companies. Although the government of British Columbia has taken measures to prevent United States authorities from obtaining information, the widespread powers of the USA PATRIOT Act could overcome legislation that is passed in Canada. B.C. Privacy Commissioner David Loukidelis stated in a report on the consequences of the USA PATRIOT Act, “once information is sent across borders, it’s difficult, if not impossible, to control”. Legal action has been taken in Nova Scotia to protect the province from the USA PATRIOT Act’s data collecting methods. On November 15, 2007 the government of Nova Scotia passed a legislation aimed to protect Nova Scotians’ personal information from being brought forward by the USA PATRIOT Act. The act was entitled “The new Personal Information International Disclosure Protection Act”. The goal of the act is to establish requirements to protect personal information from being revealed, as well as punishments for failing to do so. Justice Minister Murray Scott stated, "This legislation will help ensure that Nova Scotians' personal information will be protected. The act outlines the responsibilities of public bodies, municipalities and service providers and the consequences if these responsibilities are not fulfilled." The USA PATRIOT Act has generated a great deal of controversy since its enactment. 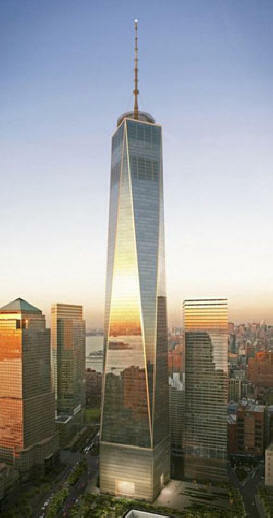 Opponents of the Act have been quite vocal in asserting that it was passed opportunistically after the September 11 terrorist attacks, believing there to have been little debate. They view the Act as one that was hurried through the Senate with little change before it was passed. (Senators Patrick Leahy and Russell Feingold proposed amendments to modify the final revision.) The sheer magnitude of the Act itself was noted by liberal activist Michael Moore in his controversial film Fahrenheit 9/11. In one of the scenes of the movie, he records Congressman Jim McDermott alleging that no Senator read the bill and John Conyers, Jr. as saying "We don't really read most of the bills. 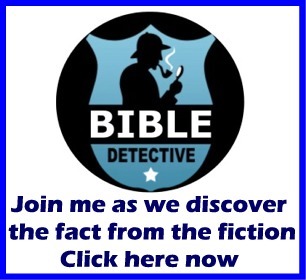 Do you know what that would entail if we read every bill that we passed?" Congressman Conyers then answers his own rhetorical question, asserting that if they did it would "slow down the legislative process". As a dramatic device, Moore then hired an ice-cream van and drove around Washington, D.C. with a loud speaker, reading out the Act to puzzled passers-by, which included a few Senators. However, Moore was not the only commentator to notice that not many people had read the Act. Dahlia Lithwick and Julia Turne for Slate asked "How bad is Patriot, anyway?". They decided that it was "Hard to tell", and that "The ACLU, in a new fact sheet challenging the DOJ Web site, wants you to believe that the act threatens our most basic civil liberties. Ashcroft and his roadies call the changes in law "modest and incremental." Since almost nobody has read the legislation, much of what we think we know about it comes third-hand and spun. Both advocates and opponents are guilty of fear-mongering and distortion in some instances. "Some television shows as NCIS, Law & Order: Special Victims Unit and Las Vegas have been keen to use the USA PATRIOT Act as a plot device, often for purposes it was not intended. EPIC have criticized the law as unconstitutional, especially when "the private communications of law-abiding American citizens might be intercepted incidentally", while the EFF hold that the lower standard applied to wiretaps "gives the FBI a 'blank check' to violate the communications privacy of countless innocent Americans". Others do not find the roving wiretap legislation to be as concerning. Professor David D. Cole of the Georgetown University Law Center, a critic of many of the provisions of the Act, found that though they come at a cost to privacy are a sensible measure while Paul Rosenzweig, a Senior Legal Research Fellow in the Center for Legal and Judicial Studies at the Heritage Foundation, argues that roving wiretaps are just a response to rapidly changing communication technology that is not necessarily fixed to a specific location or device. The Act also allows access to voicemail through a search warrant rather than through a title III wiretap order. James Dempsey, of the CDT, believes that it unnecessarily overlooks the importance of notice under the Fourth Amendment and under a Title III wiretap, and the EFF criticizes the provision's lack of notice. However, the EFF's criticism is more extensive — they believe that the amendment "is in possible violation of the Fourth Amendment to the U.S. Constitution" because previously if the FBI listened to voicemail illegally, it couldn't use the messages in evidence against the defendant. Others disagree with these assessments. Professor Orin Kerr, of the George Washington University school of law, believes that the ECPA "adopted a rather strange rule to regulate voicemail stored with service providers" because "under ECPA, if the government knew that there was one copy of an unopened private message in a person's bedroom and another copy on their remotely stored voicemail, it was illegal for the FBI to simply obtain the voicemail; the law actually compelled the police to invade the home and rifle through peoples' bedrooms so as not to disturb the more private voicemail." In Professor Kerr's opinion, this made little sense and the amendment that was made by the USA PATRIOT Act was reasonable and sensible. The USA PATRIOT Act's expansion of court jurisdiction to allow the nationwide service of search warrants proved controversial for the EFF. They believe that agencies will be able to "'shop' for judges that have demonstrated a strong bias toward law enforcement with regard to search warrants, using only those judges least likely to say no—even if the warrant doesn't satisfy the strict requirements of the Fourth Amendment to the Constitution", and that it reduces the likelihood that smaller ISPs or phone companies will try to protect the privacy of their clients by challenging the warrant in court — their reasoning is that "a small San Francisco ISP served with such a warrant is unlikely to have the resources to appear before the New York court that issued it." They believe that this is bad because only the communications provider will be able to challenge the warrant as only they will know about it—many warrants are issued ex parte, which means that the target of the order is not present when the order is issued. For a time, the USA PATRIOT Act allowed for agents to undertake "sneak and peek" searches. Critics such as EPIC and the ACLU strongly criticized the law for violating the Fourth Amendment, with the ACLU going so far as to release an advertisement condemning it and calling for it to be repealed. However supporters of the amendment, such as Heather Mac Donald, a fellow at the Manhattan Institute and contributing editor to the New York City Journal, expressed the belief that it was necessary because the temporary delay in notification of a search order stops terrorists from tipping off counterparts who are being investigated. In 2004, FBI agents used this provision to search and secretly examine the home of Brandon Mayfield, who was wrongfully jailed for two weeks on suspicion of involvement in the Madrid train bombings. While the U.S. Government did publicly apologize to Mayfield and his family,[ Mayfield took it further through the courts. On September 26, 2007, judge Ann Aiken found the law was, in fact, unconstitutional as the search was an unreasonable imposition on Mayfield and thus violated the Fourth Amendment. Laws governing the material support of terrorism proved contentious. It was criticized by the EFF for infringement of freedom of association. The EFF argues that had this law been enacted during Apartheid, U.S. citizens would not have been able to support the African National Congress (ANC) as the EFF believe the ANC would have been classed as a terrorist organization. They also used the example of a humanitarian social worker being unable to train Hamas members how to care for civilian children orphaned in the conflict between Israelis and Palestinians, a lawyer being unable to teach IRA members about international law, and peace workers being unable to offer training in effective peace negotiations or how to petition the United Nations regarding human rights abuses.